Reducing tax is a wide concept. Most businesses want to contribute the tax that they owe, however they don’t want to pay more than they have to. Technically it’s impossible to reduce your tax, as everyone is charged the same rate, set by the tax agency. In the case of Corporation Tax, the applicable rate is paid on your profits; the money left after all allowable deductions for expenses, salary and others, and is set depending on your profit level. Most contractors, freelancers and small businesses pay the small profits rate, and large companies pay the main rate .The key to making sure you pay no more Corporation Tax than you have to, therefore, is making sure you take advantage of every allowable deduction and expense to give an accurate picture of your profits. For example, If you paid 500$ for a new piece of equipment but forgot to claim it, your profits will be overstated by 500$, so you will pay 100$ depending on the profit rate, as an extra in Corporation Tax. It literally pays to stay on top of these things. Every situation is different, and there may be deductions or allowances for your specific industry, we recommend check with a professional. There are a few basics every business owner should know to make sure they’re not paying more tax than the necessary. Record every train or bus ticket, and each pad of paper, because over the course of a year those items add up. You’ll have industry-specific items to claim too, remember your tax agency rules. Basically anything you claim must be entirely for business use. When making a charitable donation, make sure the Gift Aid box is selected so that the charity gets the full donation tax-free. Higher rate taxpayers can claim the difference between the higher rate of tax and the basic rate of tax, on the total value to the charity of your donation. While some benefits are being cut, make sure the state is giving you what you are owed. Do not forget that you and your business are different legal entities; the money made is not yours so you need to pay yourself a salary. 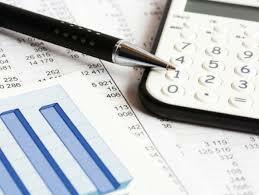 Also salaries are business expenses, which reduce your profit and, in turn, your Corporation Tax. Be tax aware and make sure your tax code is correct. 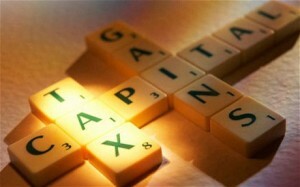 Some people may be paying too much tax without knowing it. If a tax code is not correct, the wrong amount of tax and deductions will be made. If you think there is a problem with your tax code, contact your local tax office. If you’re in need of a slightly heftier piece of equipment, new premises or other assets, you can take advantage of your government’s annual investment allowance; things like commercial vehicles, building fixtures and office equipment for tax purposes. Esta entrada fue publicada en accounting, business, payroll el 10 febrero, 2015 por spainational.